While the 5th annual New Years' Fireworks Celebration might not have had the attendance it enjoyed in previous years, the attendees certainly did not lack for enthusiasm. The pre-show started at around 23:00 and was quite impressive, with lasers, missiles and even fireworks lighting up the darkness around the station. Local was filled with happy chatter as the capsuleers awaited midnight. On a slightly less cheerful note, one capsuleer set up a memorial for his lost dog Kira, who passed away only seven days before the new year, according to the description on the secure container. According to the event's organiser Daggaroth, the event had a peak attendance of roughly 250 which, while not a patch on previous years' numbers, was still enough for quite the show. The raffle was, of course, quite popular, with prizes including a Thanatos, two Plexes and a Navy Apocalypse in adddition to the four carriers that had been announced previously. Nearly 800 tickets were purchased in all. The winners of the carriers were Doran Padecain, Foomanshu, Madd Katello and Zerotar, while Chaz OnZo and NANVEL took home a PLEX each and BLOODGRIM1 became the lucky new owner of the Apocalypse Navy Issue. Mad Katello, one of the carrier winners, was ecstatic to have won his prize, as he has only been a capsuleer for two months. 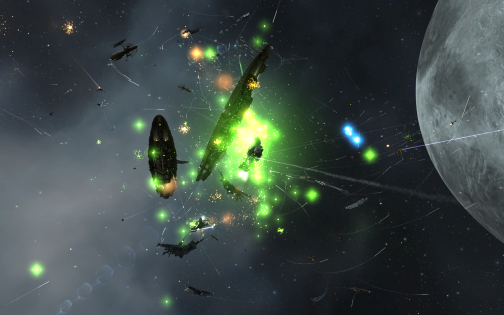 He's since converted his prize into ISK in order to buy slightly more experience-appropriate ships. Dorran Padecain, also the proud new owner of a carrier, is also not yet able to fly it. He's saving it for when his skills allow for capital ships. Chaz OnZo, who won a PLEX, said that he'd invite his whole corporation along to the next such event. 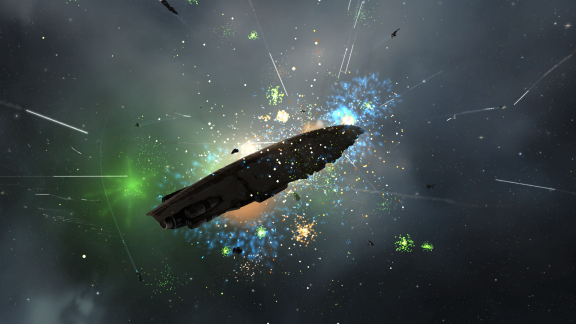 The organizers stated that they were quite pleased with the turnout given events in New Eden shortly before the event. Are you affected by the events in this article? Do you have information regarding another event in New Eden? If so, please contact us with any information that you may have. Want to become a news correspondent with IC? We are recruiting.